The Weimar Republic is an unofficial historical designation for the German state from 1918 to 1933. The name derives from the city of Weimar, where its constitutional assembly first took place. The official name of the republic remained Deutsches Reich unchanged from 1871, because of the German tradition of substates. Although commonly translated as "German Empire", the word Reich here better translates as "realm", in that the term does not have monarchical connotations in itself. 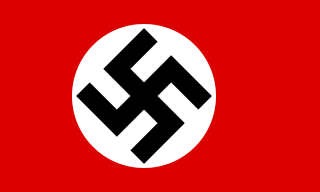 The Reich was changed from a constitutional monarchy into a republic. In English, the country was usually known simply as Germany. Carl Schmitt was a conservative German jurist and political theorist. Schmitt wrote extensively about the effective wielding of political power. His work has been a major influence on subsequent political theory, legal theory, continental philosophy and political theology, and remains both influential and controversial due to his close association and juridical-political allegiance with Nazism. He is known as the "crown jurist of the Third Reich". A military dictatorship is a dictatorship wherein the military exerts complete or substantial control over political authority. Carl Joachim Friedrich was a German-American professor and political theorist. Giovanni Amendola was an Italian journalist and politician, noted as an opponent of Fascism. Giovanni Gentile was an Italian neo-Hegelian idealist philosopher, educator, and fascist politician. 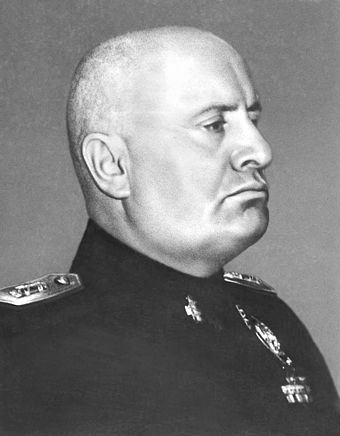 The self-styled "philosopher of Fascism", he was influential in providing an intellectual foundation for Italian Fascism, and ghostwrote part of The Doctrine of Fascism (1932) with Benito Mussolini. He was involved in the resurgence of Hegelian idealism in Italian philosophy and also devised his own system of thought, which he called "actual idealism" or "actualism", and which has been described as "the subjective extreme of the idealist tradition". Franz Borkenau was an Austrian writer and publicist. Borkenau was born in Vienna, Austria, the son of a civil servant. As a university student in Leipzig, his main interests were Marxism and psychoanalysis. Borkenau is known as one of the pioneers of the totalitarianism theory. In political science, a reactionary is a person who holds political views that favour a return to the status quo ante, the previous political state of society, which they believe possessed characteristics that are negatively absent from the contemporary status quo of a society. As an adjective, the word reactionary describes points of view and policies meant to restore the status quo ante. Conservatism is a political and social philosophy promoting traditional social institutions in the context of culture and civilization. The central tenets of conservatism include tradition, human imperfection, hierarchy, authority, and property rights. Conservatives seek to preserve a range of institutions such as monarchy, religion, parliamentary government, and property rights, with the aim of emphasizing social stability and continuity. The more extreme elements—reactionaries—oppose modernism and seek a return to "the way things were". 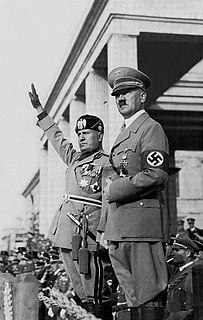 Totalitarian regimes in Germany, Italy and the Soviet Union had initial origins in the chaos that followed in the wake of World War I and allowed totalitarian movements to seize control of the government while the sophistication of modern weapons and communications enabled them to effectively establish what Friedrich and Brzezinski called a "totalitarian dictatorship". Some social scientists have criticized Friedrich and Brzezinski's anti-totalitarian approach, arguing that the Soviet system, both as a political and as a social entity, was in fact better understood in terms of interest groups, competing elites, or even in class terms (using the concept of the nomenklatura as a vehicle for a new ruling class). These critics pointed to evidence of popular support for the regime and widespread dispersion of power, at least in the implementation of policy, among sectoral and regional authorities. For some followers of this pluralist approach, this was evidence of the ability of the regime to adapt to include new demands. However, proponents of the totalitarian model claimed that the failure of the system to survive showed not only its inability to adapt, but the mere formality of supposed popular participation. Laqueur's argument has been criticized by modern revisionist historians, such as Paul Buhle, who claim that Laqueur wrongly equates Cold-war revisionism with the German revisionism. The latter reflected a "revanchist, military-minded conservative nationalism". More recently, Enzo Traverso has attacked the creators of the concept of totalitarianism as having invented it to designate the enemies of the West. Thus, calling Stalin totalitarian instead of authoritarian has been asserted to be a high-sounding but specious excuse for Western self-interest, just as surely as the counterclaim—that alleged debunking of the totalitarian concept may just be a high-sounding but specious excuse for Russian self-interest. For Domenico Losurdo, totalitarianism is a polysemic concept with origins in Christian theology, and that applying it to the political sphere requires an operation of abstract schematism which makes use of isolated elements of historical reality to place fascist regimes and the USSR in the dock together, serving the anti-communism of Cold War-era intellectuals rather than reflecting intellectual research. Other scholars, such as F. William Engdahl, Sheldon Wolin and Slavoj Žižek, have linked totalitarianism to capitalism and liberalism and used concepts, such as totalitarian democracy, inverted totalitarianism or totalitarian capitalism. Clerical fascism is an ideology that combines the political and economic doctrines of fascism with clericalism. The term has been used to describe organizations and movements that combine religious elements with fascism, support by religious organizations for fascism, or fascist regimes in which clergy play a leading role. Karl Dietrich Bracher was a German political scientist and historian of the Weimar Republic and Nazi Germany. Born in Stuttgart, Bracher was awarded a Ph.D. in the classics by the University of Tübingen in 1948 and subsequently studied at Harvard University from 1949 to 1950. During World War II, he served in the Wehrmacht and was captured by the Americans while serving in Tunisia in 1943. He was then held as a POW in Camp Concordia, Kansas. Bracher taught at the Free University of Berlin from 1950 to 1958 and at the University of Bonn since 1959. In 1951 Bracher married Dorothee Schleicher, the niece of Dietrich Bonhoeffer. They had two children. "Islamic fascism", also known since 1990 as "Islamofascism", is a term drawing an analogy between the ideological characteristics of specific Islamist movements and a broad range of European fascist movements of the early 20th century, neofascist movements, or totalitarianism. 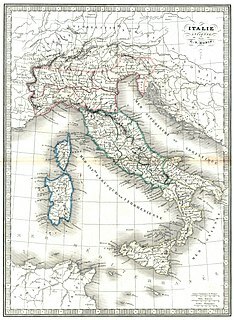 What constitutes a definition of fascism and fascist governments has been a complicated and highly disputed subject concerning the exact nature of fascism and its core tenets debated amongst historians, political scientists, and other scholars since Benito Mussolini first used the term in 1915. Richard Löwenthal was a Jewish German journalist and professor who wrote mostly on the problems of democracy, communism, and world politics. Red fascism is a term equating Stalinism and Maoism with fascism. Accusations that the leaders of the Soviet Union during the Stalin era acted as "Red fascists" were commonly stated by Trotskyists, left communists, social democrats, democratic socialists, liberals and anarchists as well as among right-wing circles. The European Day of Remembrance for Victims of Stalinism and Nazism, known as Black Ribbon Day in some countries, is an international day of remembrance for victims of Stalinism and Nazism. It is observed on 23 August and symbolizes the rejection of "extremism, intolerance and oppression". The Prague Declaration on European Conscience and Communism, which was signed on 3 June 2008, was a declaration initiated by the Czech government and signed by prominent European politicians, former political prisoners and historians, among them former Czech President Václav Havel and future German President Joachim Gauck, which called for "Europe-wide condemnation of, and education about, the crimes of communism." Fascism in Its Epoch, also known in English as The Three Faces of Fascism, is a 1963 book by historian and philosopher Ernst Nolte. It is widely regarded as his magnum opus and a seminal work on the history of fascism. Crimes Committed by Totalitarian Regimes are reports and proceedings of the European public hearing organised by the Slovenian Presidency of the Council of the European Union and the European Commission. The Hearing was organised in response to the request made by the Justice and Home Affairs Council of the European Union on 19 April 2007. The European Parliament resolution of 2 April 2009 on European conscience and totalitarianism was a resolution of the European Parliament adopted on 2 April 2009 by a vote of 533-44 with 33 abstentions, in which the European Parliament condemned totalitarian crimes and called for the recognition of "Communism, Nazism and fascism as a shared legacy" and "an honest and thorough debate on all the totalitarian crimes of the past century." The resolution also called for several measures to strengthen public awareness of totalitarian crimes. The Seventy Years Declaration was a declaration initiated by academics Dovid Katz and Danny Ben-Moshe and released on 20 January 2012 to protest against the policies of several European states and European Union bodies on the evaluation, remembrance and prosecution of crimes committed under communist dictatorships in Europe, specifically policies of many European countries and the EU treating the Nazi and Stalinist regimes in Eastern and Central Europe as equally criminal. Presented as a response to the Prague Declaration on European Conscience and Communism initiated by the Czech government in 2008 to condemn communism as totalitarian and criminal, it explicitly rejects the idea that the regimes of Joseph Stalin and Adolf Hitler can be compared, i.e. the totalitarianism theory that was popularized by academics such as Hannah Arendt, Carl Friedrich and Zbigniew Brzezinski and became dominant in western political discourse during the Cold War, and that has gained new momentum in many new EU member states following the fall of communism, resulting in international resolutions, establishment of research institutes and museums, and a day of remembrance. The declaration also claims communist regimes did not commit genocides, citing a 1948 definition that deliberately excluded politically motivated mass killings as demanded by the Soviet Union when it was adopted. More recent definitions do however include such crimes, and e.g. The Holodomor is recognized as a genocide by the United States, Ukraine and other countries. The declaration advances the position that the Holocaust was "unique" as compared to other genocides, a subject of some debate. This position first appeared in discourse in 1967, but has become less common since the 1994 Rwandan genocide, and was described as a "vacuous" and "deeply offensive" position by Peter Novick. The declaration was signed by 70, mostly left-wing, parliamentarians from Europe. It was released on the 70th anniversary of the Wannsee Conference in Berlin. ↑ Schmitt, Carl (1927). The Concept of the Political (German: Der Begriff des Politischen) (1996 University of Chicago Press ed.). Rutgers University Press. p. 22. ISBN 0-226-73886-8. 1 2 Defty, Brook (2007). Britain, America and Anti-Communist Propaganda 1945–1953. Chapters 2–5. The Information Research Department. 1 2 Achim Siegel, The totalitarian paradigm after the end of Communism: towards a theoretical reassessment, 1998, p. 200 "Concepts of totalitarianism became most widespread at the height of the Cold War. Since the late 1940s, especially since the Korean War, they were condensed into a far-reaching, even hegemonic, ideology, by which the political elites of the Western world tried to explain and even to justify the Cold War constellation"
1 2 Caute, David (2010). Politics and the novel during the Cold War. Transaction Publishers. pp. 95–99. ISBN 9781412831369. 1 2 3 Radu Cinpoes, Nationalism and Identity in Romania: A History of Extreme Politics from the Birth of the State to EU Accession, p. 70. ↑ Nemoianu, Virgil, "Review of End and Beginnings" pp. 1235–38 from MLN, Volume 97, Issue #5, December 1982, p.1235. 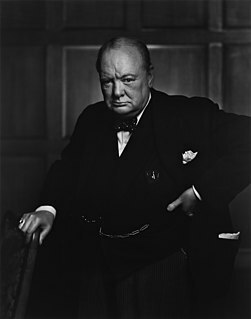 ↑ Churchill, Winston, Speech to the House of Commons, October 5, 1938: "We in this country, as in other Liberal and democratic countries, have a perfect right to exalt the principle of self-determination, but it comes ill out of the mouths of those in totalitarian states who deny even the smallest element of toleration to every section and creed within their bounds." "Many of those countries, in fear of the rise of the Nazi power, ... loathed the idea of having this arbitrary rule of the totalitarian system thrust upon them, and hoped that a stand would be made." ↑ Mann, Michael (2004). Fascists. New York: Cambridge University Press. p. 331. ISBN 9780521831314. ↑ Paul Preston. The Spanish Civil War: reaction, revolution and revenge. 3rd edition. W. W. New York, New York: Norton & Company, Inc, 2007. 2006 pp. 64. ↑ Orwell, George, "Why I Write", Gangrel (Summer) 1946. ↑ Laqueur, Walter, The Fate of the Revolution, New York: Scribner, 1987, p. 131. 1 2 Kershaw, Ian The Nazi Dictatorship: Problems and Perspectives of Interpretation, London: Arnold; New York p. 25. ↑ "The government of Nazi Germany was a fascist, totalitarian state." Grobman, Gary M.
↑ Laqueur, Walter The Fate of the Revolution: Interpretations of Soviet history from 1917 to the Present (New York: Scribner's, 1987) p. 233. ↑ Richard Shorten "Modernism and Totalitarianism: Rethinking the Intellectual Sources of Nazism and Stalinism, 1945 to the Present", Palgrave, 2012; Vladimir Tismaneanu, “The Devil in History: Communism, Fascism, and Some Lessons of the Twentieth Century”, University of California Press, 2012; Aviezer Tucker "The Legacies of Totalitarianism: A Theoretical Framework", Cambridge University Press, 2015. ↑ Juan Francisco Fuentes, “How Words reshape the Past: The ‘Old, Old Story’ of Totalitarianism”, Politics, Religion & Ideology, 2015, p. 15. ↑ "China invents the digital totalitarian state". 17 December 2017. Retrieved 14 September 2018. ↑ "China has started ranking citizens with a creepy 'social credit' system — here's what you can do wrong, and the embarrassing, demeaning ways they can punish you". Business Insider. Retrieved 2018-06-08. ↑ "China experiments with sweeping Social Credit System". DW.COM. Deutsche Welle. 4 January 2018. Retrieved 2018-06-08. ↑ Theodore Dalrymple (Autumn 2009). "The Architect as Totalitarian". City Journal . Retrieved January 5, 2010. ↑ Ben Macintyre (March 30, 2007). "Look on those monuments to megalomania, and despair". The Times . Archived from the original on August 29, 2008. Retrieved January 5, 2010. Rudolf Rocker. Nationalism and Culture . 1937. J. L. Talmon, The Origins of Totalitarian Democracy , (1952). "Totalitarianism". Internet Encyclopedia of Philosophy .